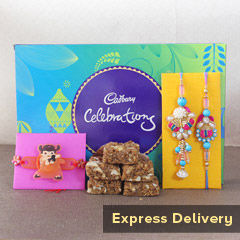 Lumba for Bhabhi- Share some Sweet & Strong Bonding with your Bhabhi this Rakhi Festival! 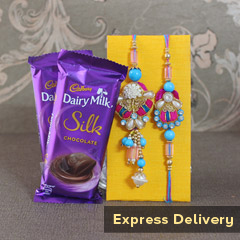 Wanna delight your sister-in-law this Raksha Bandhan? Pamper her with exclusive range of Lumba for bhabhi. 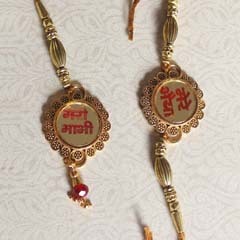 Though the festival of Raksha Bandhan is dedicated to the sheer bond of brothers and sisters, tying a Rakhi around bhabhi’s wrist is also in vogue these days. Sisters also tie Rakhi to bhabhi to mark her relationship with her cute and sweet sister-in-law. Though this custom was followed only a few ladies but now it is widespread. Extensive Lumba Rakhi Choices Awaiting four Pick! 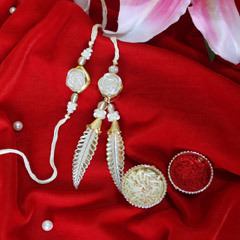 Lumba Rakhi means just for bhabhi and comes in the shape of beautiful hang-ons. 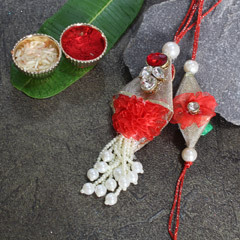 A Lumba Rakhi is designer Rakhi with a hanging thread on it and a hanging conical shaped base. 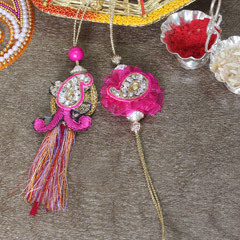 Looking at the attractiveness of Lumba Rakhi, many designers are experimenting with the style and shape of this Rakhi. 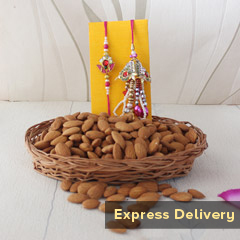 We feature a whole fresh collection of lumba Rakhi for bhabhi. 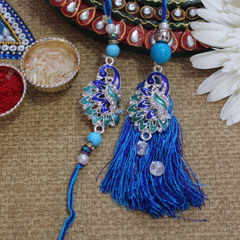 These rakhis are embellished with small beads and zari works that add to its beauty and give a shimmering appearance. 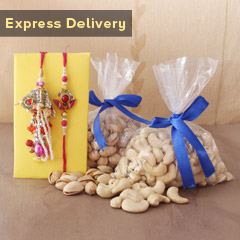 You can send Lumba Rakhi for bhabhi leveraging our online site. 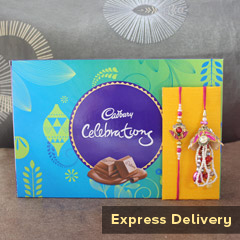 Even you can complement this Rakhi with various Rakhi gift items available at our site. 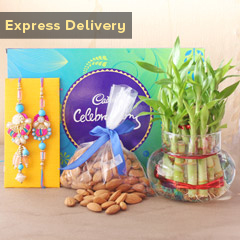 Apart from Rakhi collection we have a wide range of gifts items including flowers, chocolates, dry fruits, jewelries, cakes and many more. For a sister residing far away from brother is quite upsetting but won’t be anymore. No matter if she cannot be there with her brother, she can send Lumba Rakhi to India anywhere. 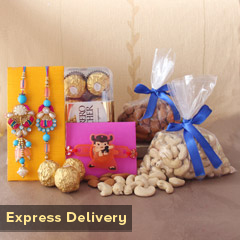 There is Express Rakhi delivery and same day Rakhi delivery services to opt for.